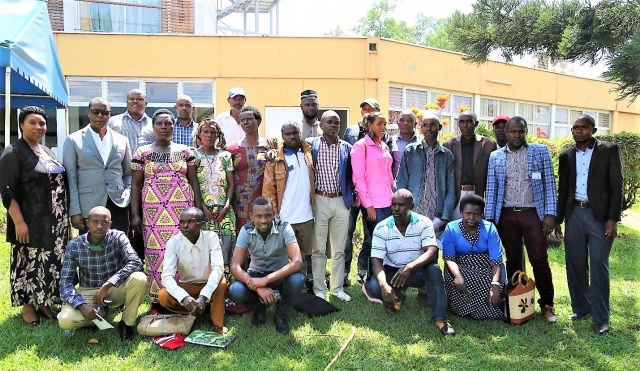 “We started planting our crops in the first week of February!” exclaimed a farmers cooperative leader during the March to May (MAM) 2019 seasonal forecast meeting, organized by the International Center for Tropical Agriculture (CIAT) and the CGIAR Research Program on Climate Change, Agriculture and Food Security (CCAFS) in February 2019 in Kigali, Rwanda. This farmer’s decision stemmed from his improved knowledge on climate information and seasonal forecasting, acquired through training sessions on Participatory Integrated Climate Services for Agriculture (PICSA). Every season, the Rwanda Climate Services for Agriculture (RCSA) project participates in seasonal forecast meetings and commits to sharing the findings with the country’s farmers cooperatives known as Twigire Muhinzi. The latest seasonal forecast review meeting for the MAM 2019 period brought together 28 participants from different partner institutions including CIAT, Meteo Rwanda, the Rwanda Agriculture Board (RAB), Caritas Rwanda, Développement Rural du Nord (DERN) and 16 cooperative leaders of the Post-Harvest and Agribusiness Support Project (PASP) cooperatives in Ngoma, Nyanza, Gatsibo and Rubavu districts. The meeting opened with a review of the 2018 season whish was followed by looking at the upcoming season. Meteo Rwanda verified the seasonal forecast from September to December 2018, revealing that the predictions had been 80% successful. 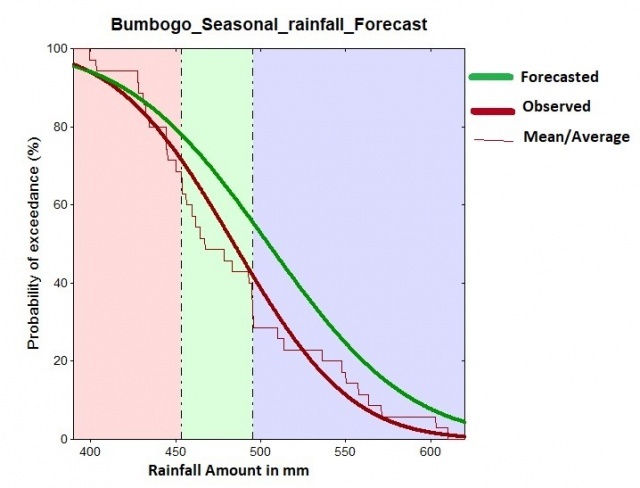 As the focus shifted to the upcoming season, Meteo Rwanda shared local and context-specific forecasting for the MAM 2019 period including seasonal onset, total rainfall (see Figure), cessation and length. In an open discussion session, participants shared their impressions of the seasonal forecasts. “In Rubavu, in the volcanic region and near Lake Kivu, we sometimes have accidental rains and the weather changes in a short time! Could you also develop technologies that can help detect sudden and brutal heavy rains?” asked Mustapha, a farmers cooperative leader from Rubavu district, Western Province. “Technology exists that easily detects sudden weather events and the information is always provided to local extension agencies and warning departments across the country,” advised the forecasting officer. The seasonal forecasts were then linked to the agricultural realm, relating them to crop characteristics including days to maturity and water requirements to identify which crops are likely to grow well in the upcoming season. Since climate information is not the only factor determining the likelihood of growing a particular crop, the participants—all trained in PICSA—were given the responsibility to decide which crops were suitable for their beneficiary farmers and cooperatives. This was based on the MAM 2019 forecast coupled with the geographical characteristics of their regions. Participants brainstormed about various channels to disseminate the MAM 2019 seasonal forecasts to those who need it most: farmers. Local project partners decided to hold meetings with site representatives from all their districts and organize meetings at the sector level. These instances will bring together district and sector agronomists, socio-economic development officers and farmer promoters, to learn about and share seasonal forecasts to Twigire Muhinzi farmers cooperatives. Cooperative leaders agreed to hold weekly community meetings, known as Inteko Z’Abaturage, bringing together villagers and farmer group leaders. Digital extension, using mobile phones and messaging, will also be applied to accelerate dissemination to farmers. The MAM 2019 seasonal forecast is expected to reach more than 100,000 farmers and agriculture extensionists through RCSA project partners and more than 3,500 farmers and extension officers through the PASP cooperatives.